Dr Sok Siphana, Managing Partner at SokSiphana&associates (a member of ZICO Law) participated in an interactive panel discussion organised by the British Chamber of Commerce (BritCham) held in Phnom Penh, Cambodia on 21st March 2017. 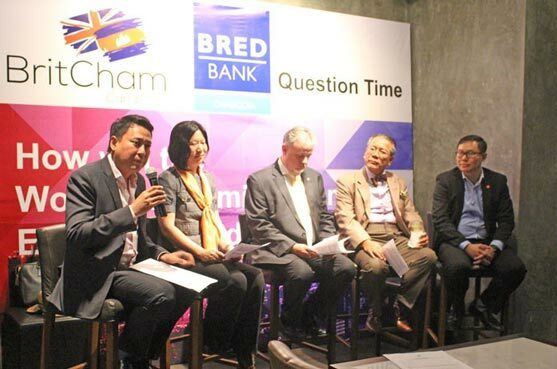 The event brought together key industry leaders and policy influencers to debate on topics ranging from the regional ASEAN trade agenda, the impact of BREXIT and the Trump effect, to the future of eTrade and what WEF and the Davos Summit mean for Cambodia. Dr Sok Siphana gave his insight on the fundamental issues that are keeping investors away from Cambodia by noting that China has invested USD 2.3 billion in hydropower facilities in Cambodia which by the year of 2028, will reduce the price of electricity and attract more investors.